My word! Was Easter already a week ago? These past few weeks have all seem to flown together and as you can tell, I’m still a week behind. That smile on Evan’s face in the picture above is one of the many reasons why I just love Easter. The children’s faces are absolutely priceless! 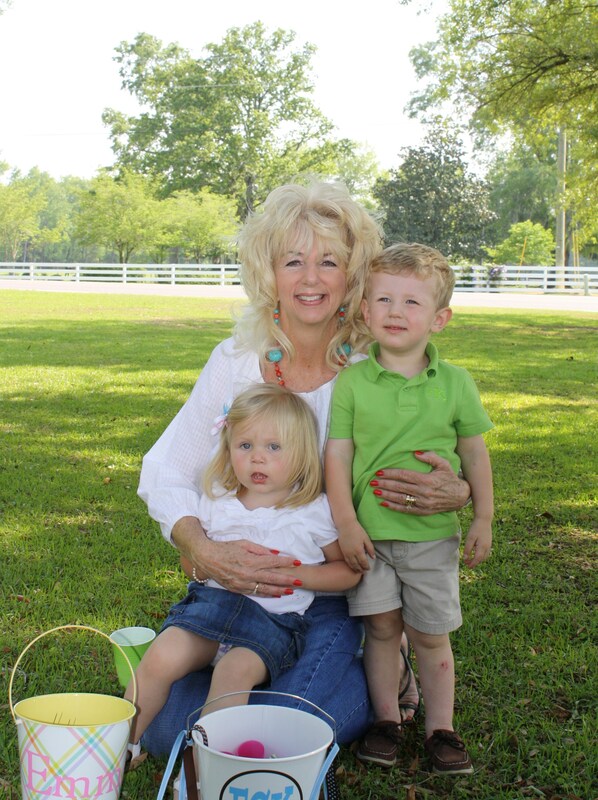 Of course, all the hype of the Easter bunny will make any little one excited, but Lovebug and I wanted to make sure Evan knew the real reason why we celebrate Easter. Evan did so well telling us that “Jesus got nails in hands and feet and died. Then he woke up and lives in Heaven.” We were so proud of him. I really do love this age. Yes, he is two and we do have many “terrible two” moments but on the flipside, it is truly amazing at how fast they learn and absorb everything around them. And for me, that pretty much outweighs some of his not so good moments. 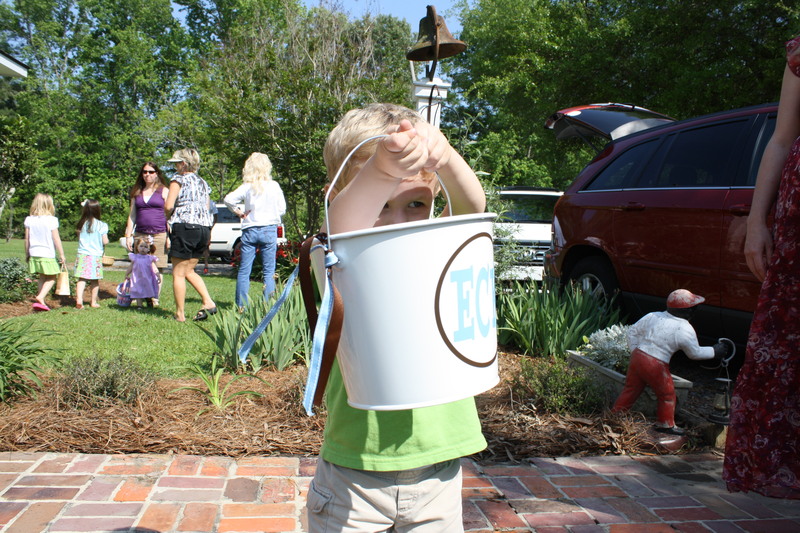 Every Easter after church we join Lovebug’s immediate and extended family for a big feast and egg hunt. The kids just love it! In case you need a pregnancy update, I’m still currently pregnant! And my cervix is still completely closed…SHOCKER! Luckily, by this time next week Baby Girl will be here! As of yesterday, my total weight gain has been 44 pounds. I’m quite pleased with that number myself considering the fact I was 15 more pounds heavier at this stage with Evan. My wonderful doctor thinks she will weigh somewhere in the 9 pound range when born. I guess we shall see in T minus 7 days! 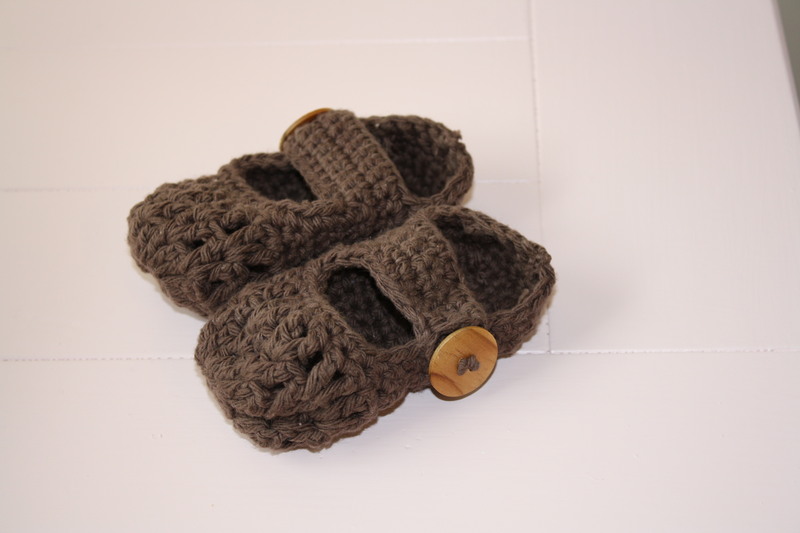 My friend had her baby boy last week and I crocheted her baby a pair of these shoes. After about five shoes later, I finally had a left one and a right one that were similar in size. I told my friend hopefully her baby boy will have one foot slightly bigger than the other. 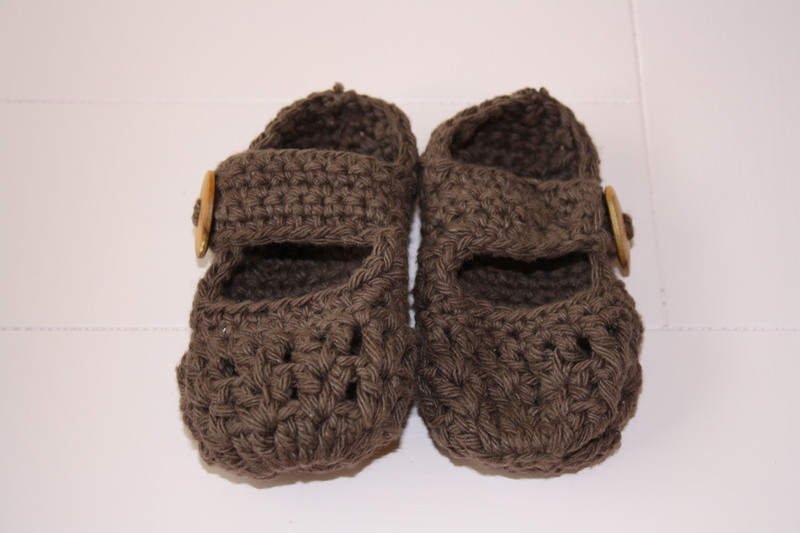 Thankfully, she also crochets and understands and appreciates the craftsmanship that goes into making them. The pattern itself isn’t all that complicated. My issue came when counting. On patterns like these, you have to keep count. One number off can throw the entire pattern off. And as for me right now, I’m lucky if I can count to ten without getting distracted! Because sometimes I just need to brag on my husband! It’s true this man I married in 2004 has molded himself to become a great Christian man, husband and helper to me and father to Evan and Baby Girl. But for the sake of this post, he is also something else. He is a fearless HERO in every sense of the word. Although he would never call himself one and would shy away from ever having his name and that word in the same sentence. Awards and accolades are nothing new for Lovebug’s law enforcement career, having been recognized numerous times for his tough and aggressive police work. Just like in 2010, when he was awarded the Knight’s of Columbus “Deputy of the Year” award for fighting with a man armed with a .45 caliber pistol. While fighting on the ground over the gun, the man pulled the trigger in an attempt to kill Lovebug and other deputies around. Lovebug was able to force the gun to be fired into the ground, saving the lives of deputies and innocent people around the scene. Fast-forward to last July. I’ve written about this particular incident before where Lovebug broke his hand. For the K-9 team’s heroic actions that day, they recently received two awards for a job well done. The K-9 team was recognized publicly by the Knights of Columbus and by the Dorchester County Sheriff’s Office. 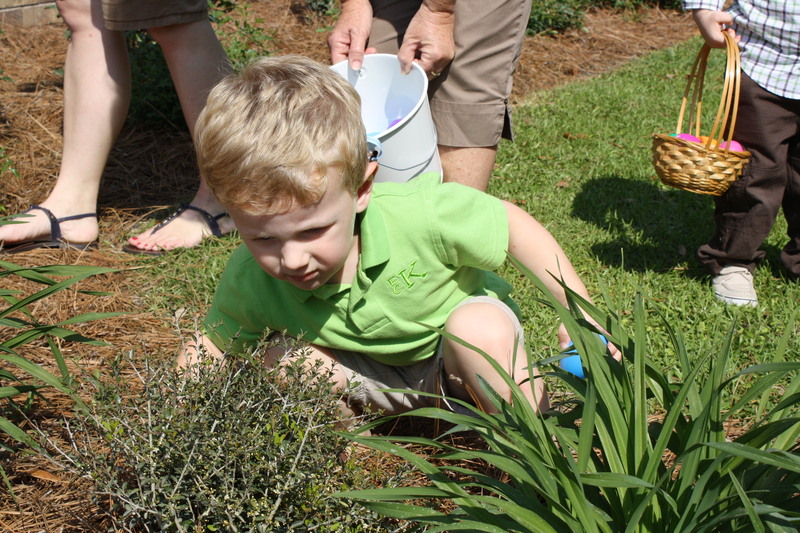 The Summerville Journal Scene recently published two articles describing both recent awards. The Knights Of Columbus Council 6629 recently hosted its 25th annual Patrick J. O’Brien Social, a banquet held in honor of the public safety community in Summerville and Dorchester County. Shown here are officers, firefighters, EMT, and dispatchers of the year for 2012. Food, fellowship, and some well-earned and much deserved recognition highlighted the annual Knights of Columbus 25th Annual Patrick J. O’Brien Social, held Feb. 28 in the Knights of Columbus lodge in Summerville. The Summerville Knights of Columbus Council 6629 has hosted this event for the Summerville and Dorchester County public safety forces and their families for the last 23 years. The Knights host a banquet for police officers, deputies, firefighters, EMS, and dispatchers and their families and present plaques to the police officers, firefighters, dispatchers, sheriff’s deputies, and EMS personnel whom their chiefs, department heads, and peers select for outstanding service during the year. Scouts from Boy Scout Troop 737 were on hand to help serve and assist the attendees. Scott Flick, KOC president, who served as the evening’s master of ceremonies, welcomed everyone to the gathering and thanked the guests for the jobs they do. Summerville Mayor Bill Collins also had high praise for the first responders. The Knights presented six plaques: Summerville Police Officer of the Year and Dispatcher of the Year, Summerville Firefighter of the Year, Old Fort Firefighter of the Year, Dorchester County Dispatcher of the Year, and EMS Worker of the Year. Captain Michael Donoghue of the Summerville Police Department announced PFC John Graves as SPD’s officer of the year and Chrystal Poczekaj as SPD’s dispatcher of the year. Summerville Fire Department Chief Richard Waring presented the award for SFD firefighter of the year to Spenser Stevens, who joined the department in 2009. Dorchester County EMS Director Doug Warren presented the award for EMT of the year to Jimmy Murphy. Warren noted that Murphy has taken on many additional roles, including stepping up to a leadership role with the department’s tactical medical team. Captain David Moore of the Dorchester County Sheriff’s office noted that the sheriff’s office this year actually had three presentations. DCSO recognized its Interstate Criminal Enforcement Team and K-9 Team, which consists of Lt. Joe Burnette, Cpl. Justin Eaches, Cpl. Tim Knight, Cpl. Nathan Rollins, Pfc. Mike Files, and Pfc. Johnnie Jefferson. The department recognized the team for their efforts in a situation that turned into a dangerous high-speed pursuit that ended in the apprehension of two armed and dangerous career criminals, one of whom had fired shots at pursuing deputies during the pursuit. Members of the DCSO K-9 Team with Capt. David Moore. From left, Lt. Joe Burnette, Corporal Justin Eaches, Moore, Corporal Tim Knight, PFC Johnny Jefferson, and Corporal Nathan Rollins. Knight also presented the Honor Guard Leadership Award to Captain Paul Hartline and the Unit Award to the Dorchester County K-9 Team, which includes Lt. Joseph Burnette, Coporal Justin Eaches, Corporal Tim Knight, Corporal Nathan Rollins, PFC Mike Files, and PFC Johnny Jefferson. In addition, Lt. Burnette and Corporal Rollins and their K-9 partners, Fiest and Blitz, received a special K-9 Award from the National Criminal Enforcement Association. The award, known as the K-9 Sonja award, is named in honor of Dorchester County K-9 team Michael Dease and Sonja, who died in the line of duty in 2007. Burnette and Rollins received the award for their actions during a harrowing high-speed pursuit that occurred in July 2011 that started on I-95 south near the 73 mile marker in Dorchester County and ended along Highway 61 in Colleton County. During the chase, one of the suspects fired several shots at pursuing deputies, which prompted the lead deputy in pursuit, Burnette, to ram the suspects’ car, forcing it off the road and causing it to overturn. The suspects continued to fire shots before fleeing on foot into a wooded area. Burnette and Rollins then deployed their K-9s; the dogs soon apprehended both suspects. No one was wounded by gunfire; however, one deputy broke his hand during the apprehensions. Officers recovered three handguns from the suspects’ vehicle, which had been reported stolen out of Charlotte, North Carolina some ten days prior to Tuesday’s incident. Last Monday was a big day for us. 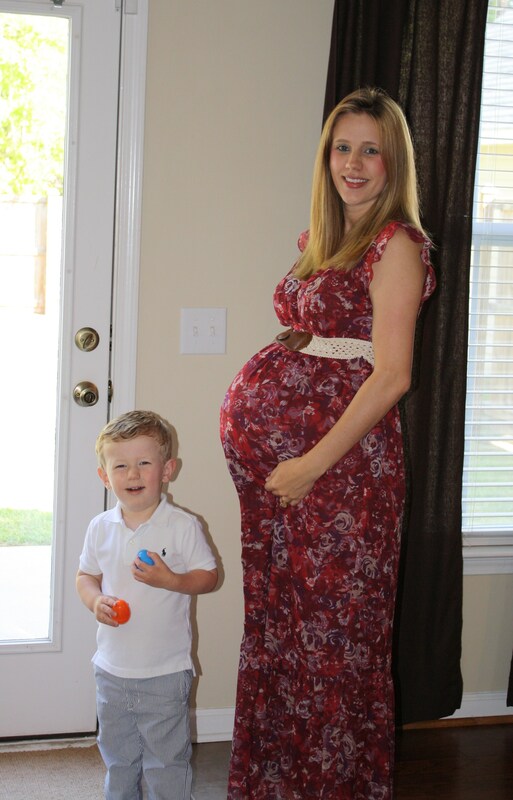 First, it marked 35 weeks and it also meant time for another ultrasound to see how big Baby Girl was measuring! According to the ultrasound technician, she measured two weeks ahead and weighed in at 7 pounds. Not a shock at all to me. Actually, my doctor and I were a little surprised that she didn’t measure bigger. 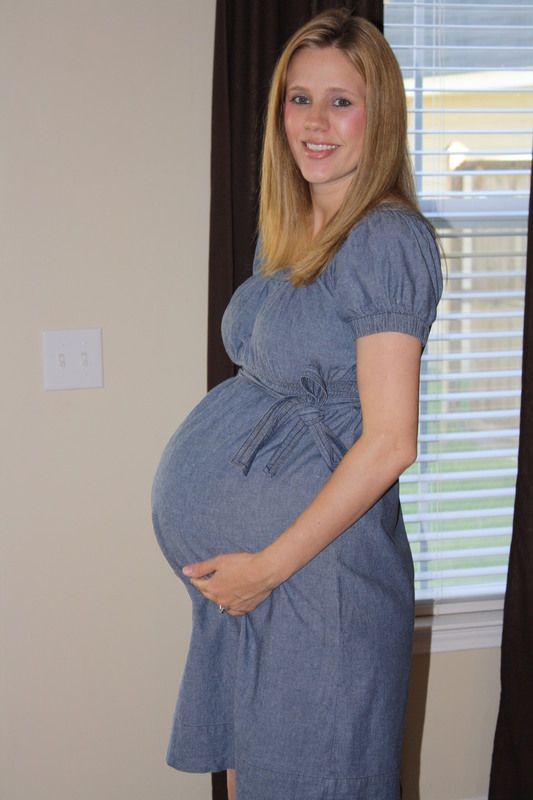 When I was pregnant with Evan, we had an ultrasound with him at 36 weeks and he measured 8 pounds 7 ounces. So if my math and the doctor’s are correct, she should weigh somewhere in the 9 pound range when born at 39 weeks. I mention her being born at 39 weeks because I have a feeling she will follow in her big brother’s footsteps…and by that I mean not wanting to come out on her own. After my doctor performed my cervical exam, he said my cervix was still closed. No change. Nothing, not even a fingertip! Let me stop here and give you a debriefing about my cervix. It has been dubbed the “cervix of steel”. With Evan, I never even made it to one centimeter. You would think that given all the pressure of a big baby resting upon it would cause it to somewhat dilate. Well, apparently that was only a theory that existed in my imagination. Given all the circumstances, another c-section will most likely be the plan. Now on to three days ago and another doctor’s appointment. Everything checked out great with Baby Girl. I, on the other hand, was told news that I didn’t necessarily want to hear. My doctor informed me that my platelet count dropped below 100,000 and that if it continued to stay below 100,000, then I would have to be put completely out during the c-section procedure. Apparently there is a law/rule that an anesthesiologist cannot administer an epidural to anyone with a platelet count below 100,000. Of course it’s all for the safety of the mother and other mumbo jumbo legal reasons. It’s just disheartening, the thought of not being awake while your child is born. When my doctor told me the news I was shocked and surprised, but it didn’t officially sink in until an hour later when I was standing in line at Subway. While standing in the long line waiting to order, it hit me hard and this is when I had a meltdown. All these thoughts were racing through my mind: What if I don’t wake up? What if I bleed out and die? I’m never going to meet my baby girl! I’ll never see Lovebug and Evan again! What if Lovebug remarried and she’s some sloozy gal? Then this means some slooze bag would be raising my children! Would anyone miss me? What will my tombstone say? Will I even have a tombstone? I’m just tired of being a statistic. It seems my whole life I’ve been one. If something odd or unusual could happen, it always happened to me. Why can’t I have a simple and normal pregnancy? Why do I gain a ridiculous amount of weight? 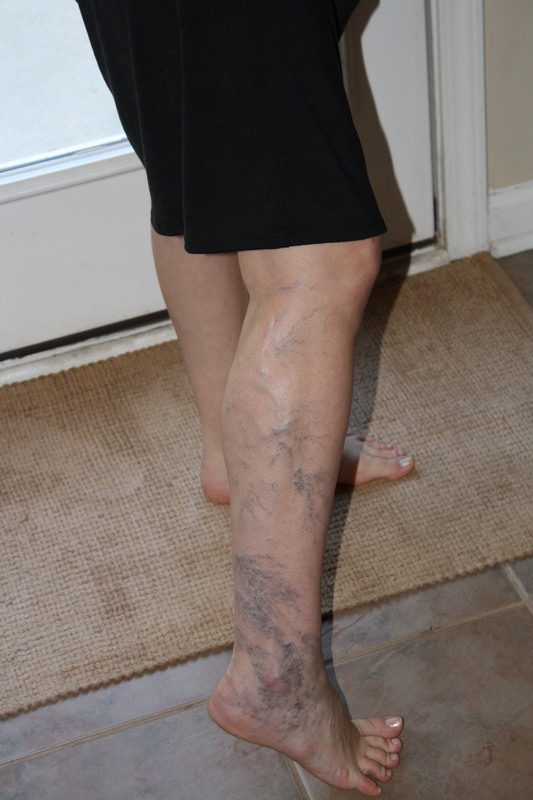 Why do my legs look like this? These were all the thoughts and concerns I pouted about. After I ate my sorrows away, (which included my sub, two cookies and countless Twizzlers later) I finally snapped out of my poor, poor me attitude. I realized in the grand scheme, the most important aspect to Lovebug and I is having the healthiest baby possible. My body went through crazy things with Evan, but in the end, he was a healthy baby boy. And if that means I have to do it all over again plus more, than that’s what I’ll do. I’m just sorry if you have to see me on a daily basis. P.S. Right before I wrote this post, I read a post from a fellow Charleston blogger. She is also pregnant (two weeks ahead of me) with a baby girl. I like to visit her blog to compare bellies and what not. Well, her post didn’t help my situation when she posted a picture of herself 35 weeks pregnant in a two piece bathing suit. Literally, her belly was a the same size as mine when I was like 16 weeks pregnant. And I’m pretty sure she was trying to poke it out as much as possible. Grrrr! That is all I will say for now. Except, that you are very much welcome that I didn’t post such a picture of me.